Yes. Short version of this article is – just open this dropdown and try out different options. That’s all there is to it. Very powerful. This type of button serve a dual purpose. 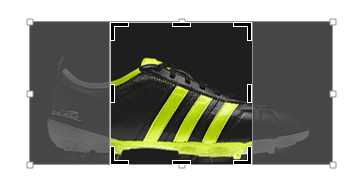 The upper part does the regular Crop functionality and the lower part exposes more features. Notice such buttons and don’t forget to explore the dropdown options. Usually these are extremely powerful and useful. This is a very useful but ignored feature. Consider this slide. 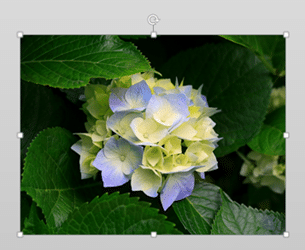 The slide is 4:3 proportion (aspect ratio) but the image I have added is wide screen (16:9). I want the image to fully occupy the slide. Of course I can just resize it. 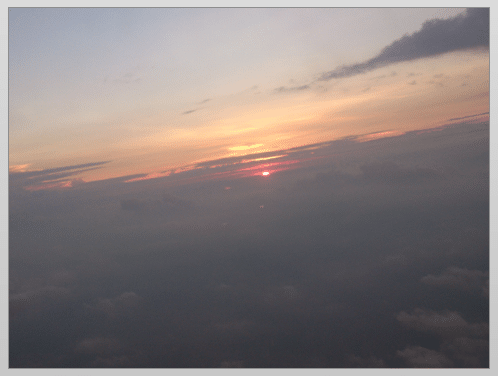 But it makes sense to crop it in such way that it is 4:3 so that I can choose which part of the image remains visible. Now the image is cropped proportionately. You can move it around to adjust the visible portion and click outside to finalize the crop. 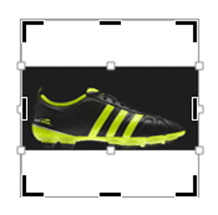 Now press CTRL key and SHIFT key on keyboard and resize the image from any corner. This maintains the center position but grows the image proportionately. This way you can fill the slide fully with the image. This is another useful feature. Choose any shape and the image will be adjusted. You can refine it as required. When you do this, the exact portion of the image which is inside the shape may not be what you really wanted. 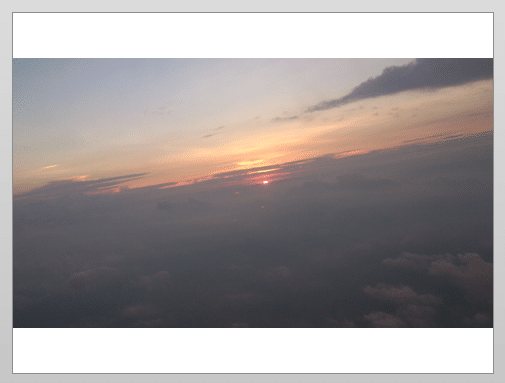 For example… consider this picture and the same picture after cropping to a circular shape. This is not what I want. 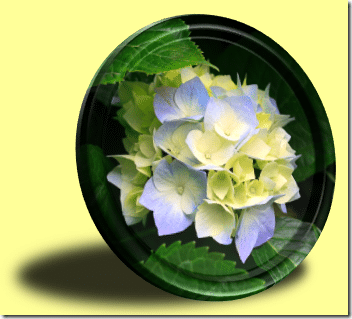 First of all, I want a proper circle – not an oval and I want to choose which part of the flowers I want to show in it. 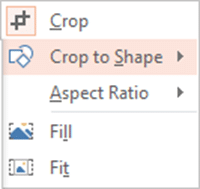 So after the Crop to Shape operation, click on the image and click on the regular Crop button. Now you get all the flexibility you want. Notice that there are two adjustment handles – the dark straight ones are the CROP handles and the hollow circles are the image handles. Both can be manipulated. Now you may want to move the image – which is easy – drag the gray area of the image. 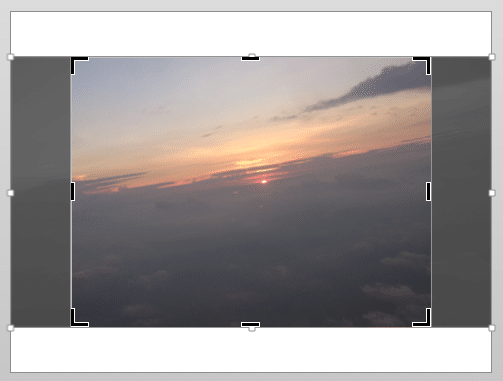 Alternatively you can move the crop area by dragging the border of the crop rectangle. This is a very useful but commonly unknown feature. The cursor shape does not change therefore, many of us never tried to move the crop rectangle by dragging. Of course, once the shape is finalized, you can also used all the other special effects to give create a more enhanced graphic. Sometimes we have specific area available and we want to either fill or fit a particular picture. Here is an example. 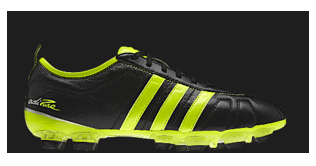 I want this shoe to be shown inside a square. This is called the FILL option. It tries to fill the available area with the central portion of the image. You can drag a different portion of the image if required. I have finalized on the square area. But I want the full shoe to be visible within the available space. This is done by choosing the FIT option. Often we want to start from the beginning and UNDO is not possible because the original crop was done long back (or file was closed and reopened). No worries. The fastest way to remove all extraneous items is to choose Reset Picture and Size from the Picture Tools menu. Note that all other settings like shadow, reflection will also be reset in this step. There is no easy way to only undo cropping after undo buffer has been cleared. This is an important thing to remember. 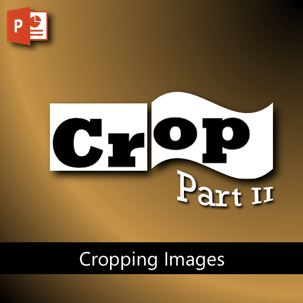 If you have high resolution images and you have performed extensive cropping, remember that the cropped picture is still occupying the original file size. 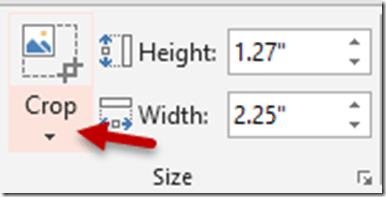 As you know there is Reset Picture and Size option available. Therefore, the original picture must be kept even after cropping. 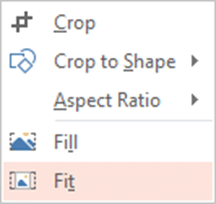 But if you want to save on space, and you know that you will not need to reset the cropped areas, you can remove the cropped part of the picture and save significant amount of space. How to do this? 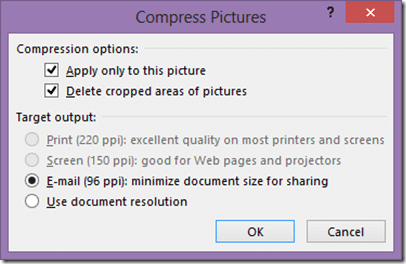 Click on a picture – Picture Tools – Compress – Make sure the Delete cropped areas of the picture option is active, choose the lowest resolution for your purpose and then click ok. If you want to do this for all images, remove the checkbox Apply only to this picture. Previous PostHow to crop images and videos?Next PostHow to capture screenshots?